It's important to understand both why children should learn to accept limits and tolerate hearing "no" and how parents struggle with these goals. Have you ever had the frustrating feeling that no one is listening when you say "No"? You try to speak firmly but find yourself asking a question instead of making a statement. You hear yourself asking, "Will you brush your teeth now?" when you mean to say, "Brush your teeth this minute!" Then you find yourself screaming, and your child is crying. What went wrong? Parents often lack the confidence to make clear statements firmly, though kindly, when they are not quite sure what to expect of children. When you understand that your expectations are reasonable, you can make that firm statement, "Please brush your teeth now, "and follow through. So let's look at when children can receive a "No" and give one themselves. From early infancy, children learn that parents set limits on their behaviors. After a certain time set by the parent, a baby slowly learns to sleep more at night than during the day. Eventually, the baby sleeps through the night with naps during the day. Thus the baby learns to adapt to the wake-sleep cycle expected in his or her culture. The baby learns that there are limits to how his needs are satisfied and that the parent can and will say "No." By age two, the child is experimenting with some newfound autonomy, developing his or her own ability to say "No." Over time, this child develops a further understanding of others saying, "No, not now, later." This requires the ability to wait, to tolerate frustration, and to become flexible. As the months and years progress, children develop this capacity more fully, although it fluctuates depending on their state of mind at a given moment. For example, a calm child without too many stressors can tolerate frustration more easily than a child in a high-stress family situation. However, it is more complex than focusing only on external stressors. There are internal stressors as well: a predisposition to anxiety, a sensitive temperament, and sensory processing abilities to name just a few factors. There is a developmental line for the ability to tolerate limits; this ability emerges and becomes stronger over time. If limits are not set for a young child, they feel too powerful and may try to control the adult. This is not good for them, because it is overwhelming to feel that your parent is not in control. When you feel self-doubt about being firm with everyday rules, remind yourself you are helping your child by giving them the security of clear expectations that organize their inner and outer world. By adolescence, the child is developing a new sense of identity and autonomy. Limits are being tested regularly as the teenager finds his or her way to define him or herself in the world of peers and adults. The child who could tolerate limits earlier in life has a difficulty time during teenage years. The child who has not mastered this capacity sufficiently struggles when faced with restrictions and rules appropriate to his age. It is important even for the teen to know that there are limits to how he satisfies his needs so he doesn't feel too powerful and out of control. Reasonable rules help him eventually develop an understanding about what he wants and what is expected of him. Although this may be frustrating, it is actually calming, because the teen then knows what is expected and how to respond. The 'push and pull' between teen and parent helps the teen define himself. Teens rebel less often when they know their parents' motives are clear and positive. When adolescents know their parents have cared about them in the past and continue to do so by trying to understand their vantage points, they become good decision-makers, following their own values even when surrounded by peer pressure. There is less pushback when teenagers know that their parents have concern for their welfare and well-being and that setting limits comes out of love. 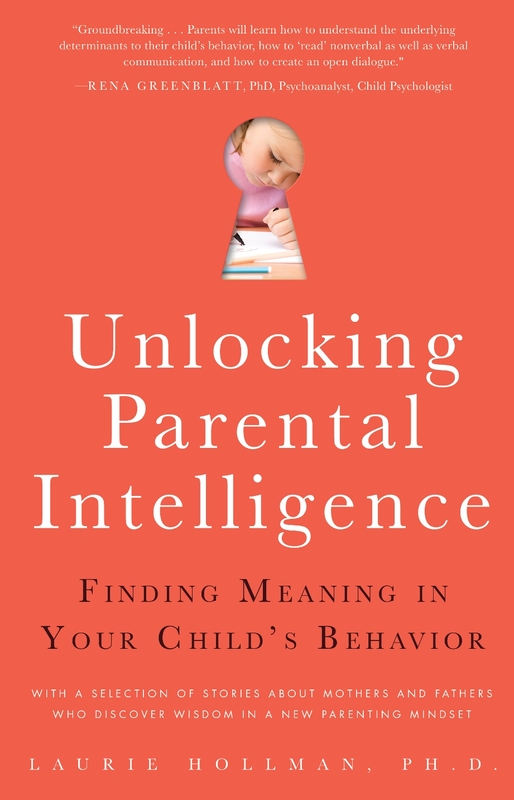 This is an excerpt from Unlocking Parental Intelligence: Finding Meaning in Your Child's Behavior, by psychoanalyst Laurie Hollman, Ph.D. It can be found on Amazon, Barnes & Noble, and Familius as well as wherever books are sold.